This entry was tagged 1994 Winter Olympics, Black History Month, figure skating, Gronda Morin, Lillehammer Norway, Surya Banaly. Bookmark the permalink. 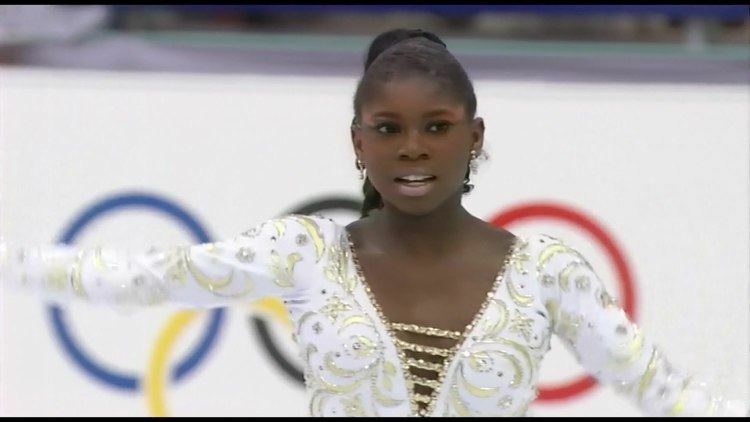 One can only admire Surya Bonaly’s protest at the unfairness of the judging in 1994 and even more so with her 1998 going out with your own style Bonaly Backflip. I remember hearing Scott Hamilton’s voice as he watched her then, knowing why she had done it and maybe even some admiration of her having done it. She was a rebel, but a darned talented one. Surya could not fit into the preconceived notion of the ice princess and was judged harshly because of it. Thank-you for sharing this post! Yes, unfortunately she did not fit into the preconceived picture, but she shone in her own way. Fair? No. But who said the world is fair? It isn’t. She, however, is a lady of great talent and, as my grandmother used to say, ‘chutzpah’. My hat is off to her. Thanks for the reblog. Surya Banaly did catch my eye. I obviously admired her performances like most of the fans but the judges didn’t feel likewise. It has to be tough for a young girl to have to wonder if the color of her skin had an effect on the judge’s evaluations of her while she still had to maintain an air of dignity with her head held high. The Olympics–looking for the world’s best–sheep. Truly inspirational, I adore her athleticism, creativity and risk taking. She’s a true sports pioneer.